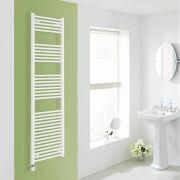 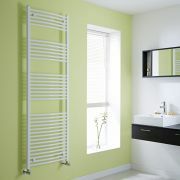 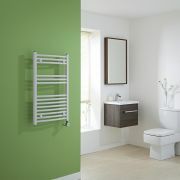 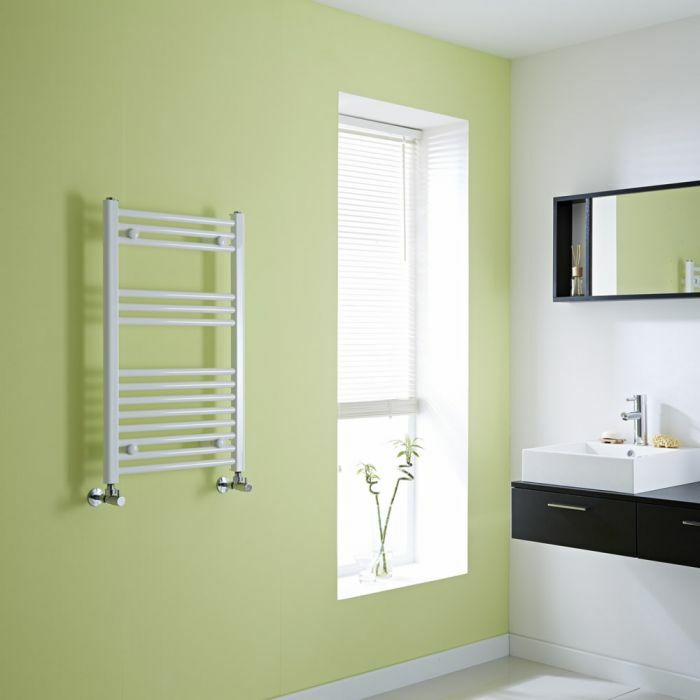 Create a smart and elegant look in the bathroom and enjoy having warm, dry towels when you want them, with the Milano Calder heated towel rail. 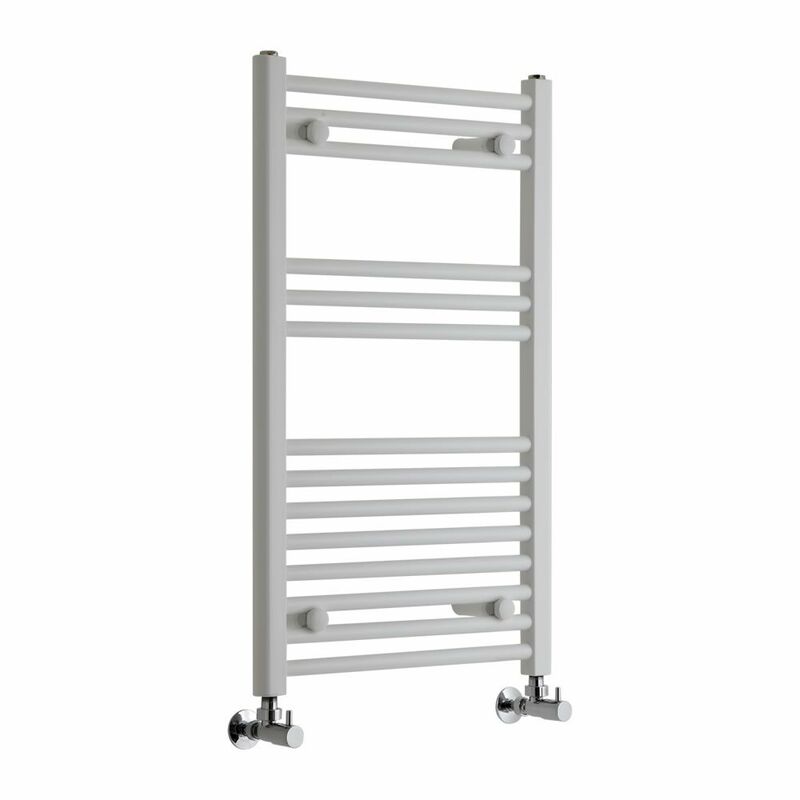 This flat ladder design rail has clean lines and a white finish for a classic but fresh look which complements bathrooms of any style. 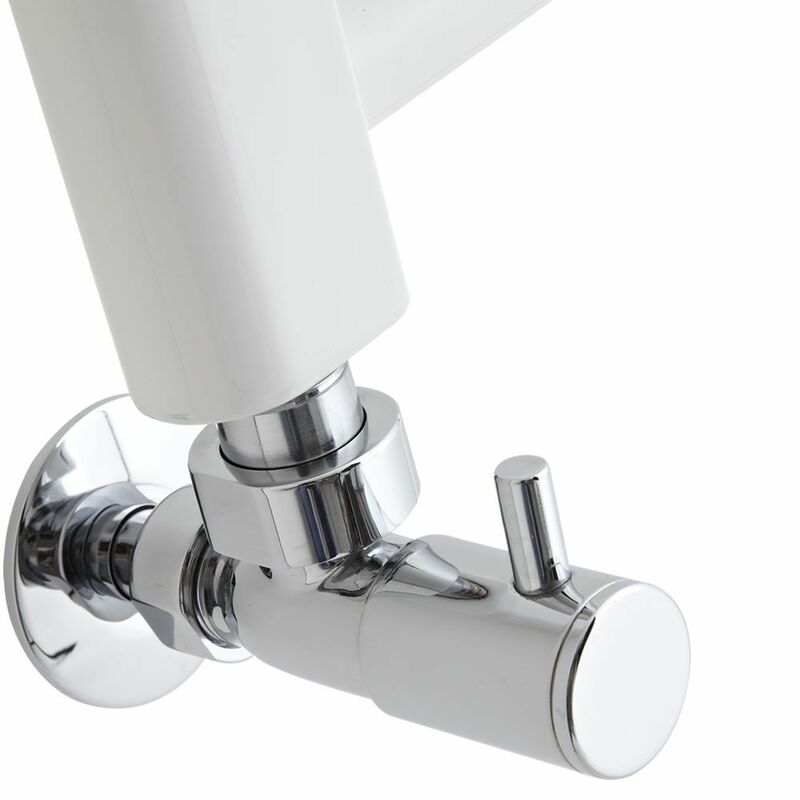 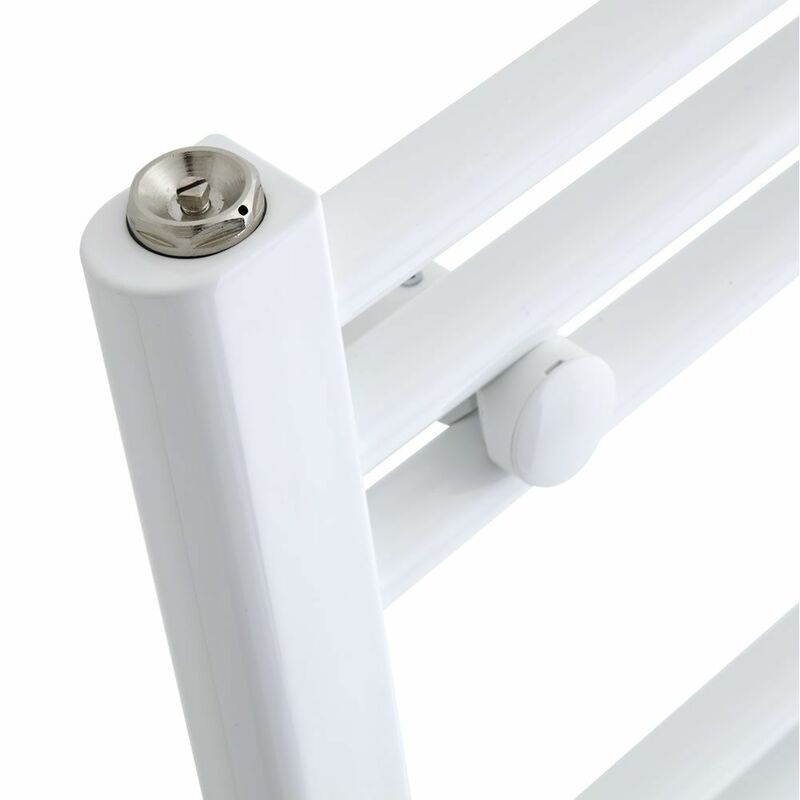 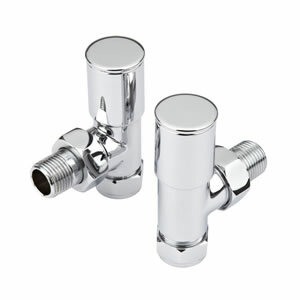 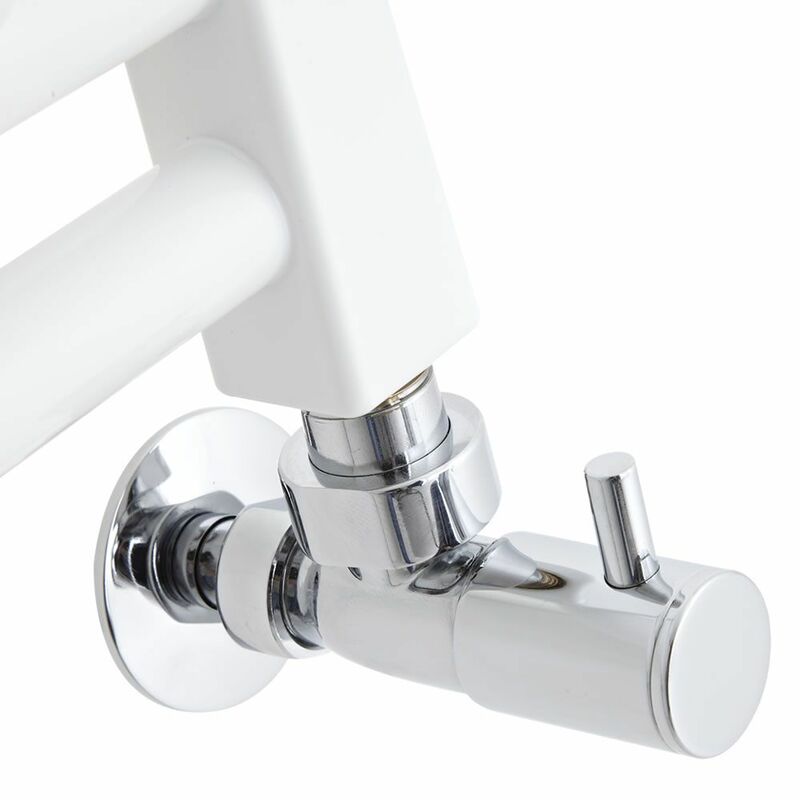 At 800mm x 500mm, this compact rail is perfect for use in small bathrooms and en suites. 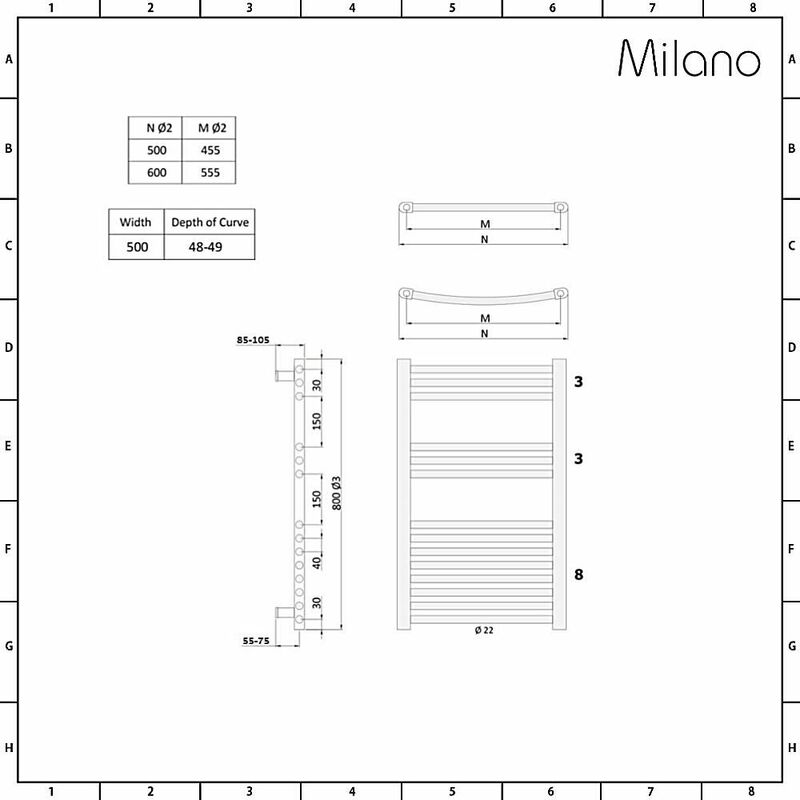 This model is made to Milano's exacting standards of quality, using the best materials for this kind of application.